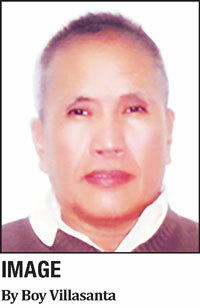 Home / Limelight / Why broadcaster Ceasar Soriano made assassinated mayor from Batangas a movie? 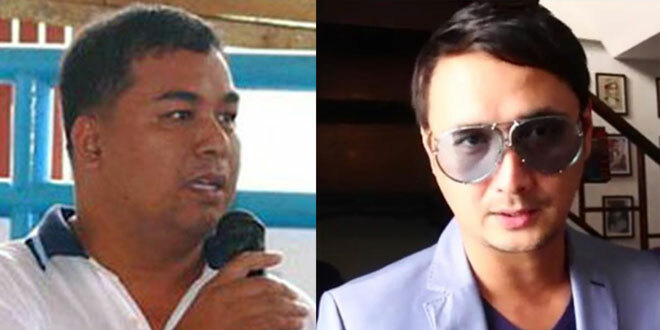 Why broadcaster Ceasar Soriano made assassinated mayor from Batangas a movie? I remember Ceasar Soriano when his first name wasn’t changed yet for, I guess, numerology. It was as simple as Cesar Soriano, his broadcast name at the time we were together in ABS-CBN News and Current Affairs Department. He was a field reporter covering beats like police, Senate, Congress etc for “TV Patrol” while I was doing “Star News,” the entertainment segment of the primetime news show. I haven’t seen Ceasar for ages until entertainment reporter Mell T. Navarro invited me to the premiere showing of the movie “The Last Interview: The Mayor Antonio Halili Story” at the SM Lipa City in Batangas. As far as the former Vilma Santos mayoral turf we went because the director of the film was already the modified name Ceasar Soriano. I got interested, of course, because Soriano, a graduate of Mass Communication from the Far Eastern University (FEU), was a colleague in the broadcast arts. How was he? What has he been up to? Why did he think of translating the life of Antonio Halili, the late mayor of Tanauan, Batangas who was shot dead by still unidentified assailants in a flag ceremony on July 2, 2018 at his city hall? The premiere night was well-attended by Manila press and the local reporters, the stars of the film led by John Estrada, Ara Mina, Yayo Aguila, Mon Confiado, Jordan Castillo, Michael Flores etc who came all the way from Metro Manila. Interestingly, there was no member of the Halili family who was called on publicly. Ceasar was of course around who talked about his film during the program which reeled off at about nine thirty in the evening. I seated in the balcony of the movie house when the film screening started. I wanted to finish off the showing but I still had to go home to Quezon Province which was an ordeal. I didn’t personally come face-to-face with Soriano but I saw him from afar. He didn’t change much physically except for added pounds evident on his face when he was shot close-up because he played himself in the movie. In a statement, Ceasar said that he thought of doing the film about Mayor Halili and his town because “when I was a reporter, I was very fascinated and obsessed I understanding the harsh and not normal parading of drug pushers and drug users. I came to know that this mayor was accused of human rights violations, parading the drug pushers and users. “So, I wanted to know why was he doing that? What motivated him? What was the reason, what was his driving force why he had to parade these drug pushers and users? So, to me, it’s very interesting. Especially there’s this war on drugs of President Duterte. That’s why the project was titled as such—an exclusive interview footage inserted in the film hours before Halili was assassinated. According to John, the biopic wasn’t made to investigate and possibly, to bring the culprits to justice. “Hindi naman ito para malaman kung sino talaga ang pumatay o malutas ang kaso (This is not a film to discover who the killers were or to solve the case),” said Estrada. Judging from the scenes I had seen, the film was the usual presentation of a true-to-life story in a simple manner. Previous Is Jessy Mendiola transferring to GMA Network? Next Why “M Butterfly” national tour is cancelled?